Sharon is president and owner of Backyard Retreats. She has been in business for over 19 years in the same location at 554 Johnnie Dodds Blvd. in Mount Pleasant, SC, nestled behind the colorful row of adirondack chairs. She offers outstanding customer service, products and designs. She has an eye for color and a quality of listening to customers helping them turn their backyards and outdoor areas into beautiful "BACKYARD RETREATS". She was described in the Winter 2014 issue of Charleston Style & Design Magazine, as "a petite energetic steel magnolia!" 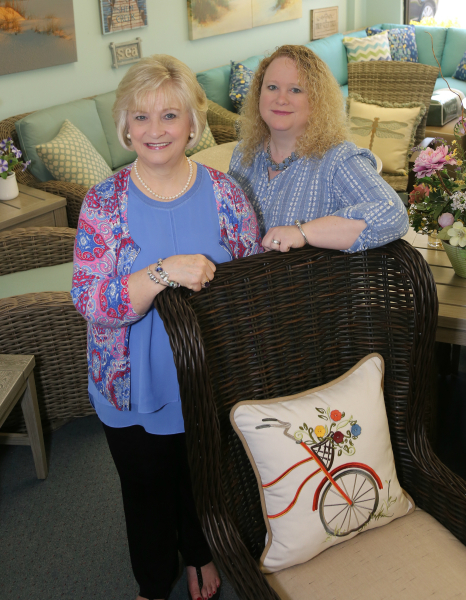 Sharon says, "At Backyard Retreats, I strive to treat my customers like I want to be treated when I shop. This includes respect, honesty, intregrity, and trust. The highlight of designing Backyard Retreats' projects are building lifetime relationships and friends. I believe in having great working relationships and, most of all, satisfied customers. I also want to always be true to myself and make a living actually living! I believe in doing your work with your whole heart and loving what you do. I believe if you do this and always have faith and rely on God, you will be blessed. I always try very hard to make my customers feel important because without satiisfied customers, I would not have Backyard Retreats." Sharon is the Grandmother of 4 beautiful grandchildren. She believes in her family and letting them know that they are her number one customers. 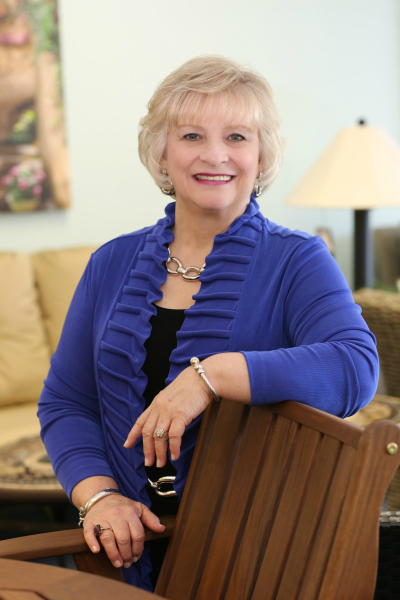 She says, "Being a small business owner is great, and I love what I do, but being a Grandmother is the best! I love people and I always try to remember that the things that matter the most cannot be measured. You cannnot always make everyone happy, but if you do your very best and treat everyone the way you want to be treated, you will be blessed." Sharon also loves to bake and ballroom dance. Remember---Your beautiful Backyards deserve the best---BACKYARD RETREATS! Family & friends always gather where they are comfortable! 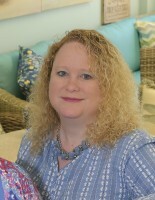 Executive Manager/ Design Consultant Darla has been with Backyard Retreats since 1999.